On the occasion of its 50 years, the UCE includes the first edition of the UCE in Manresa, apart from the Prada edition. The University courses will be held at the Lluís de Peguera Institute (from 9:00 am to 12:00 pm) as well as the events and commemorations (from 12:00 pm. to 1:30 pm). At the Espai Plana del Om, the debates (from 4:00 pm to 6:00pm) and the cineforum sessions (from 6:00 pm to 8:30 pm) will take place; and in the Plaça Major, the concerts (from 10:00 pm. to 11:00 pm). There will also be two evenings with guided tours of the city of Manresa, the monastery of Sant Benet de Bages and the salt mines and the castle of Cardona. The edition of the UCE in Prada, which will be the 50th, will be from 16 to 23 August 2018, and will have similar courses. 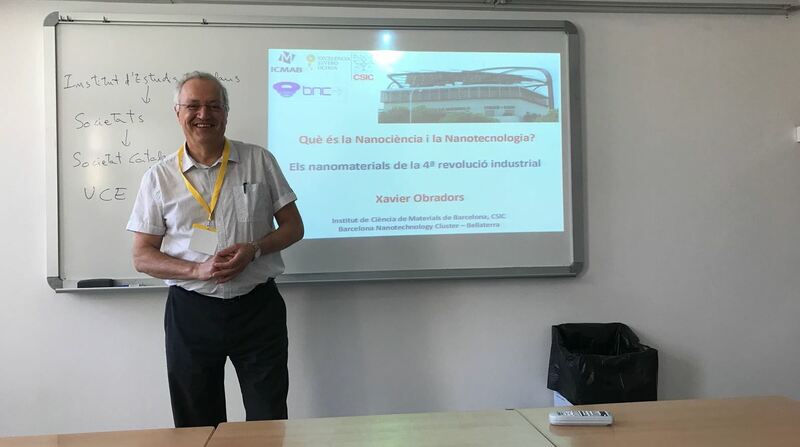 Ignasi Fina, from the Laboratory of Multifunctional Thin Films and Complex Structures (MULFOX) group will give a lecture on nanotechnology. Take a look at the whole program of science and technology, coordinated by Dra. Núria Ferrer i Anglada (Universitat Politècnica de Catalunya) here. Apart from that, the UCE offers a wide range of courses, from natural science (sustainability), health science, nutrition, history and literature. You can find them all here.